Bad Assets and Sweet Home This Weekend!!! And Bad Assets are back!!! Come on in this Friday night, May 30th, at 9:oo p.m. and start your weekend with great music, food, friends and drinks. Kick back and relax while Mock Crest Tavern takes care of you. Bad Assets is known for their whiskey-soaked country-rock tunes and the group is originally from Portland, Oregon. Motor Jeffries, the bands primary song writer, decided to write a collection of songs about the drive through Oregon on Interstate 84. Enjoy the road trip with them through their music. The journey takes you from Stumptown, across the state line, towards the potato processing plants, stops by a bottom shelf liquor distillery, a washed out waterfall, rodeo country, and an abandoned cement factory. Bad Assets is creative and tons of fun, something we all need a bit more of in our lives. Enjoy their music on myspace. Sweet Home continues the fun and music on Saturday, May 31st. 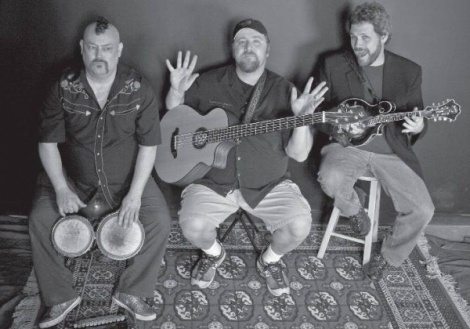 They deliver a combination of Rock-Folk-Pop and Americana Saturday night beginning at 9 pm. “The process of creating and performing together helps us define who we are. Our mission is to create a common dream through music that reflects the world we want to live in,” says Sweet Home. It’s Open Mic and Jam Night Thursday at Mock Crest! If it’s been a rough week and you’re trying to hang on until the weekend, Mock Crest Tavern is throwing you a life line so grab hold and join us for Open Mic Night. 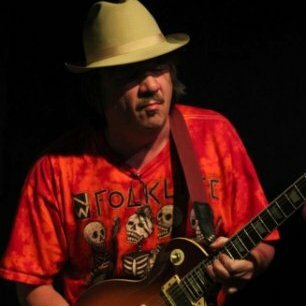 Lee Blake and Zack will start the music and fun at 8:30 p.m.
Lee Blake has played the blues and R&B for more than forty years. He performs with several bands including The Lee Blake Band, a trio, and sometimes adds players for larger venues and performances. He also plays solo performing roots music on a Regal/ National steel bodied resophonic guitar. He plays the blues, old school R&B, funk, and Rock ‘n’ Roll. For additional information and tunes visit Lee Blake at Reverbnation. Join us every Sunday at 6:30 p.m for Quizzy with Roy Smallwood and Free Hold “Em Poker Monday evening at 7:00 p.m.
I’ve got some fun alcohol facts for you. You never know what questions Roy will ask, so be prepared! Unlike beer and wine, all spirits are originally completely clear and colorless; their golden browns and other hues are the result of the aging process. There is no worm in tequila. It’s in mezcal, a spirit beverage distilled from a different plant. And it’s not actually a worm, but a butterfly caterpillar (Hipopta Agavis) called a gusano. Bourbon county no longer produces bourbon. Rye was the first distinctly American whiskey. It is distilled from a combination of corn, barley malt, and at least 51% rye. Gin is spirit alcohol flavored from juniper berries. First made by the Dutch, it was called junever, the Dutch word for “juniper.” The French called it genievre, which the English changed to “geneva” and then modified to gin. Sloe gin is not gin at all but a liqueur made with sloe berries (blackthorn bush berries). May 22nd, at 8:30 p.m. with Randy Yearout and Tracey Fordice. Randy plays guitars and Vocals with the 8-Balls, and founded the North Portland band NoPoMoJo. 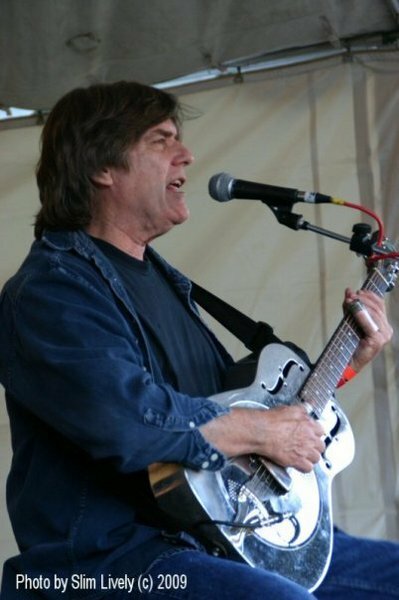 Known for his multi-instrumentalist and songwriting abilities, Randy writes songs in a variety of musical styles combining blues, folk, jazz, rock, and country. Tracey Fordice brings a powerful and unique voice to the stage, as well as plays the piano and writes songs. Her latest CD, “Long Hard Day”, offers original material. Dean Baskerville, the Grammy winning recording engineer, engineered her CD. He is widely known for “Soak Up the Sun” by Cheryl Crow. Over 100 years ago, Portland was considered the most dangerous city in the states to go out for a drink. Not because you might end up dead, but instead shanghaied on a boat to another country. Portland’s “Shanghai Tunnels”, lesser known as “Portland Underground”, connected the basements of many downtown hotels and pubs to the Willamette River’s waterfront. Originally built to move goods from docked ships, these tunnels quickly created a unique network of passages and thoroughfares that were used by unscrupulous individuals called “shanghaiiers” or “crimps”, to move drugged and kidnapped individuals unto ships and into slavery and prostitution. Quizzy with Roy Smallwood is every Sunday evening at 6:30 p.m. and free Hold ’em Poker on Monday nights starting at 7:00 p.m.